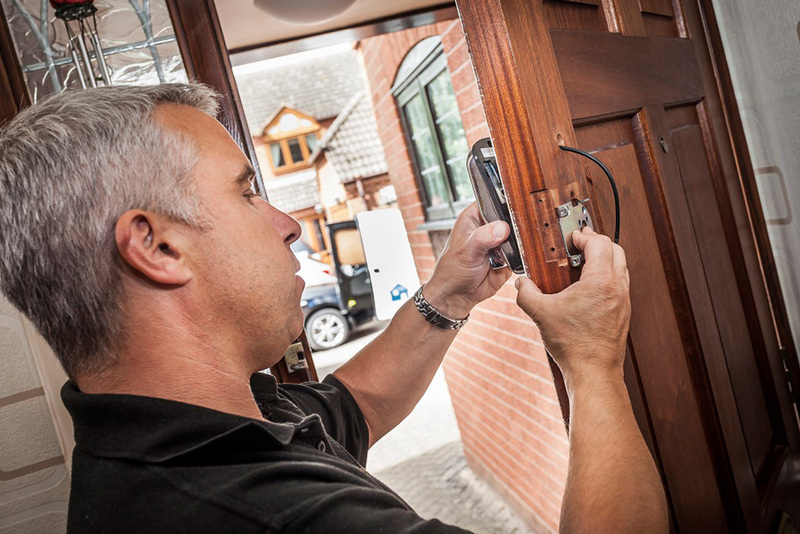 Yale shows tradesmen how they can be the standard bearers in home security. When it comes to security, homeowners are willing to spend more to ensure that their homes are securely protected, so it’s important that trade professionals are offering the highest quality security products. With this in mind, trade professionals should be looking out for the latest security standards, to ensure that they can guide their customers effectively, to make considered purchasing decisions, with the added guarantee that all the products they fit comply with the vital industry standards. The main standards to consider as part of your security offering include BS3621, PAS24:2016, TS007:2014, BS3621 as well as the latest TS621:2018 standard. BS3621 is one of the most well-known standards in the industry and is the minimum performance required on locks and cylinders on external doors acceptable to home insurers. 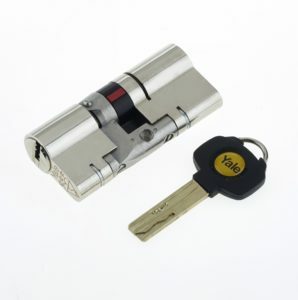 To achieve this standard, the lock must be able to be dead-locked and still remain secure. PAS24:2016 is the minimum-security standard for doors and windows in the UK, and is highlighted in Document Q, which forms part of security compliance in all new buildings. 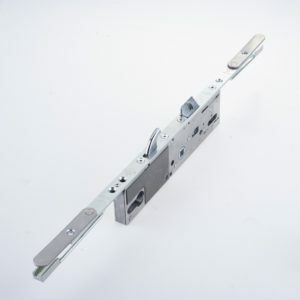 In response to this standard, Yale has developed the Yale PAS3621 Doormaster™ replacement lock, the first retrofit multipoint lock on the market that is Secured by Design approved and provides maintained accreditation on existing PAS24:2016 doors. TS007:2014, designed alongside the Door and Hardware Federation, is employed to protect against all known cylinder attack methods. To achieve the three-star accreditation, products must undergo rigorous testing and the cylinder, or combination of the cylinder and door furniture, must reach an accumulative three stars to meet the minimum requirements. Independently tested by the British Standards Institution (BSI), Yale’s Platinum 3 star cylinder offers a superior strength solution to provide maximum protection with just one product. Thanks to the prestigious Kitemark from the BSI, consumers will now easily be able to identify smart locks that conform to British standards. This will bring reassurance to UK homeowners and accelerate widespread smart lock adoption. TS621:2018 has been written as an umbrella standard to cover the four main types of smart locks: electronic escutcheon (door hardware), electronic multipoint locks, electronic single point locks and electronic cylinder locks. This works by calling relevant standards for each type of smart lock to ensure the mechanical, electro-mechanical and electronic security of smart locks is of the highest standard. Why is this new standard so important? According to recent statistics, when it comes to the smart home, 43% of people are still concerned about “someone hacking into their home”. This new Kitemark helps to defuse concerns around smart locks and brings much-needed reassurance to UK homeowners. The new standard gives UK consumers a benchmark and an easily recognisable stamp of quality, to help them easily identify quality, secure and safe locks, against imitations. Furthermore, by ensuring knowledge of the latest standards and products is up-to-date, trade professionals can place themselves in a trusted and respected position to generate more business in the growing smart lock market. Yale strives to stay ahead of the curve when it comes to standards. As a result of this, the Yale Conexis L1 Smart Lock has become the first ever smart lock to meet TS621:2018 and be British Kitemark approved, making it an unrivalled product within the current smart lock market. To achieve the new standard, the Conexis L1 underwent rigorous testing including quality and durability tests as well as physical attack testing to PAS24 and TS007. It also underwent electro-mechanical manipulation to test if it could be manipulated by skill using tools like magnets and wire cutters. Finally, the Conexis L1 was also tested against electronic attacks designed to test the cyber security of the lock to ensure it is secure against advanced “hacking” methods. To help educate and reinforce standards messaging, Yale’s ‘Anything But Standard’ campaign, focuses on the importance of British Standards. The campaign has been designed to both inform homeowners of the security benefits of installing high-quality products that adhere to industry standards, whilst also keeping trade professionals informed of product developments, to help reap the rewards available in this profitable market.